Danielle Dagostino, 28, was charged with 2 counts of failure to provide proper sustenance. 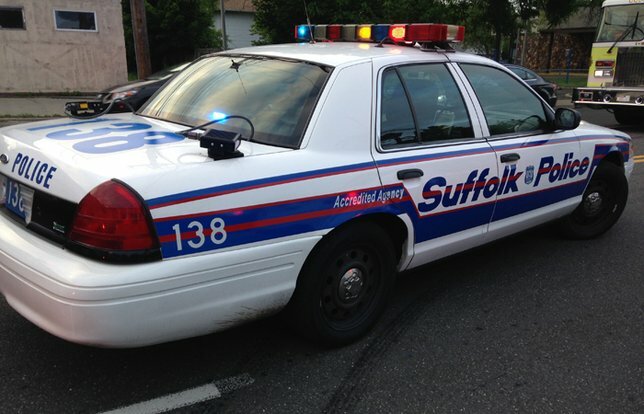 April 15, 2019 - Suffolk County SPCA Detectives have charged a Patchogue woman with animal cruelty. Danielle Dagostino, 28, was charged with 2 counts of failure to provide proper sustenance for Bully, her 6 year old male pit bull and Lacey, her 1 year old female rottweiler/shepherd mix. Both dogs were found to be emaciated. Both dogs were removed from the home and transported to Brookhaven Animal Shelter. Dagostino is scheduled to appear in First District Court on June 6th, 2019. If you witnessed any act of animal cruelty, or have any information, please call the Suffolk County SPCA at 631-382-7722. All calls will be kept confidential. Subject: LongIsland.com - Your Name sent you Article details of "Suffolk County SPCA: Patchogue Woman Charged with Starving Her Two Dogs"